It’s in her blood. Sara comes from a musical family who recognized her tone and pitch at just four years old when she started singing “Somewhere Over The Rainbow”. Not long thereafter, she joined her mom and dad on stage and eventually opened for Tanya Tucker. Seeking meaning and comfort following the passing of her mother, she turned to songwriting. Sara wrote her first song “Heaven’s Gate” in tribute to her mom, the woman who gave her vocal chops, an appreciation for Patsy Cline and a love of all things country. Jump. 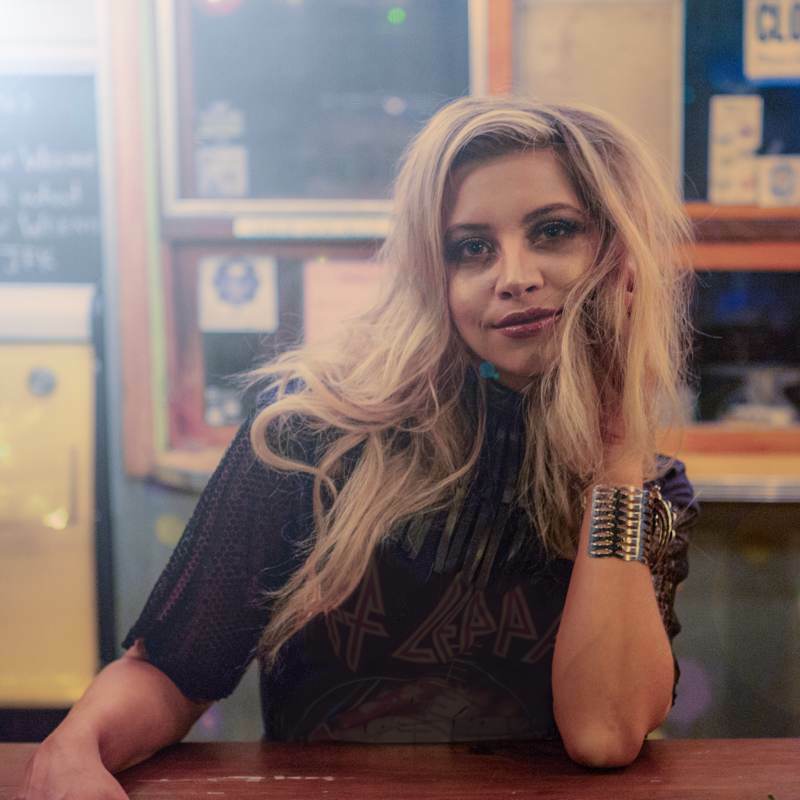 Not one to play it safe, Sara left her group, moved to Nashville and “jumped” into becoming a serious songwriter and recording artist, finding her style with her wide-ranging voice suited to her songs. Sara draws inspiration from a broad range of country and popular artists — from Patsy to Dolly to Celine & Christina. In her debut EP, “New Girl” (HH Entertainment, 2018) Sara shows a sweet, ethereal beauty in her ballad “Fireflies” to soaring highs and grit of her first single, “Jump”, and “Pray and Pray and Drink”. At the same time, she and her co-writers Maloy and Hamels are equally comfortable as simple storytellers in “New Girl”, the somewhat biographical title song. Sara is proud to include her version of the Lauren Alaina penned ballad “Leaving Me” to round out her debut EP. Sara looks forward to sharing her music with the world — one fan at a time if she has to; after all, it’s in her blood. Sara’s live show is always energetic and fun – see where she’s playing and catch a show soon! The new EP, “New Girl,” featuring the hit single “Jump” is now available – check it out here! T-shirts and more – get your Sara Spicer merch now and wear your support proudly! Be the first to hear about news, tour dates, and get exclusive deals!